Known as Waladii or Wadadii by the native population, Antigua is a popular Island destination for all the tourists from every corner of the world. It is one of the Leeward Islands (a group of islands situated where the northeastern Caribbean Sea meets the western Atlantic Ocean) and the prominent island of Antigua & Barbuda (West Indies). Barbuda is located north of Antigua Island. The Antigua island covers an area of 442 sq. km. and is home to a population of about 77,000 people, and People of African descent have more population in this region. Also, the place is quite popular among the international students for pursuing MD (Doctor of Medicine) in the Caribbean Islands. Recognition of Medical Degrees- Indians can easily practice their medical career in India upon their degree completion as Antigua offers globally recognized degrees. 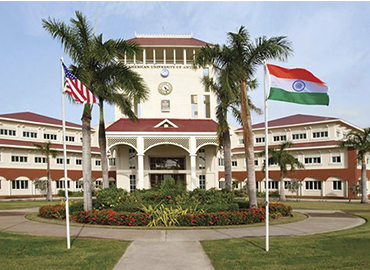 The Medical Universities of Antigua are recognized by the Medical Council of India (MCI), International Medical Education Directory (IMED) and enlisted with the World Directory of Medical Schools (WDOMS).